Vibration technology (Ruettelverfahren) was developed in Germany and literally means "vibration application" - individual ceramic tiles applied by means of vibrators using high frequency motion to ensure full compaction and embedding of individual tiles. Ceramic tiles as construction materials, being among the oldest and most ecologically friendly, have been used in various ways for centuries. Vibrofloors believes in improving the ability of ceramic products to withstand heavy-duty stress to make them applicable in more environments than they were initially designed for. The biggest problem for the ceramic tile industry has been and always will be proper application! 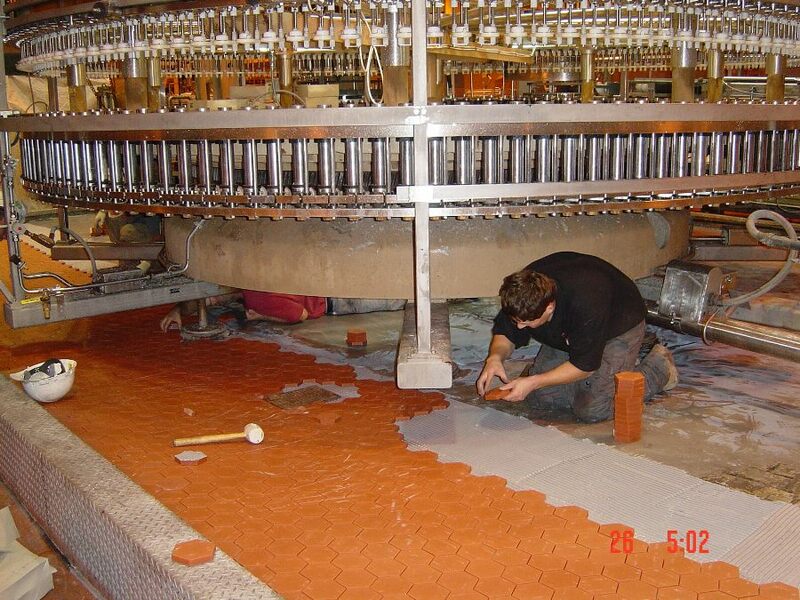 While in the past ceramic as a product was very much dependent on the individual applicator's ability to ensure that each ceramic tile is properly embedded using a rubber mallet as a source of compression and embedding, it was usual to rely on the experience of individual technicians. Inconsistencies were the source of most failures. 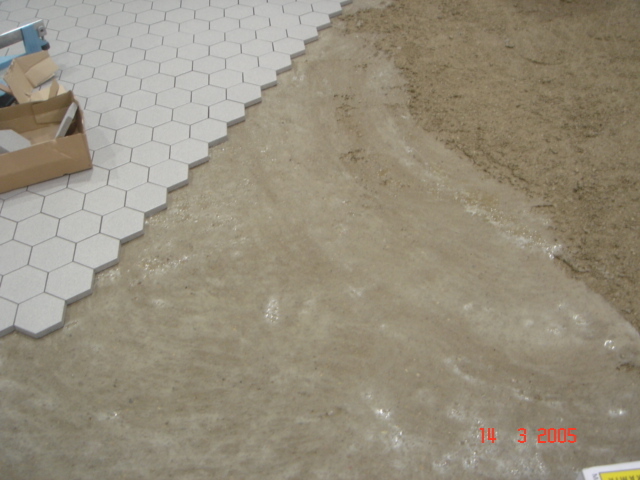 To tackle this problem of inconsistent application and the decided impact of human error on the quality of the completed ceramic product, the finished floor and the investment in technology, it is important to carefully select ceramic tiles, taking into account their technical characteristics and to pay close attention to the supporting structure (bedding mortars) and additives. 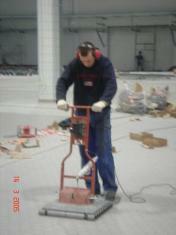 This flooring system is known to be one of the hardest and yet most flexible systems known. The system is designed for use in large commercial and industrial environments. 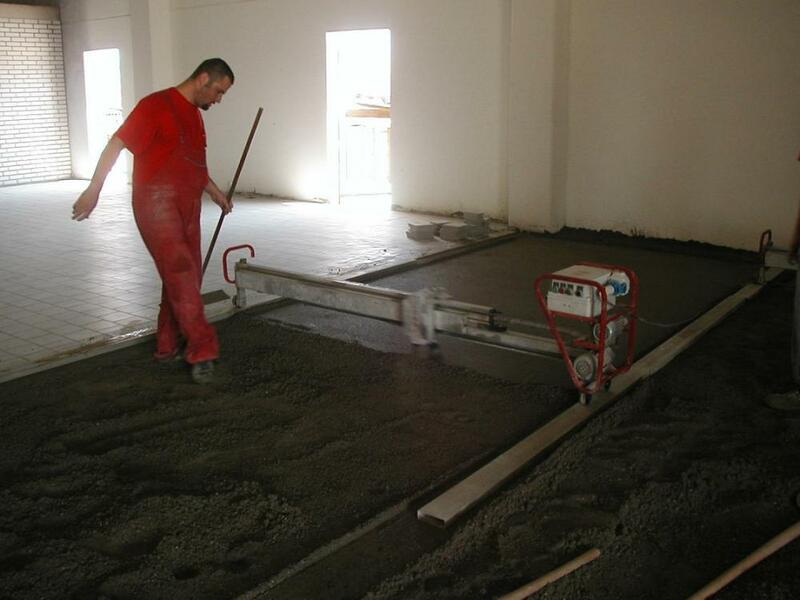 The quality and productivity it brings surpasses conventional application methods, and it is capable of providing structural solutions which are more cost effective in terms of flooring. 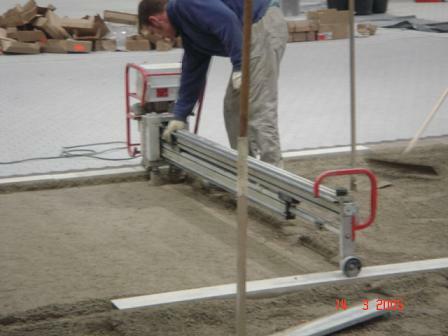 The Vibration Process, consists of modifying the bedding mortar with additives, placing an additional adhesion layer between ceramic tiles and thebedding mortar. The supporting bedding mortar is modified depending upon the environment and the industry within which the system is being used. Tiles are joined mechanically using products from cementitious, polymer, epoxy resin and methacrylate to furan resins, depending upon the environment to which the joints will be subjected. This System can be placed directly upon concrete slab, bonded VIBROPACK 40® or upon Thermal or other insulating layers, thus creating a free-floating VIBROPACK 60® system which can be used where suspended structures are being built and deflection is expected. In the food industries, where chemical resistance is required, these systems are used, along with bonded VIBROCHEM 40® and the VIBROCHEM 60® floating system. Expansion joints are placed in intervals depending on the structural design and requirements. Structural Movement joints are incorporated into the system. These are made from silicone, polyurethane, PVC or stainless steel. For further information on our systems please contact us!